How will Twitter’s algorithmic feed impact social media marketing? What is Twitter’s algorithmic feed? In mid-March, Twitter made a significant change to its timeline – moving to a so-called ‘algorithmic feed’. This algorithmic feed shows users tweets that match their preferences, rather than those have simply been posted most recently. Until now, Twitter’s timeline has been purely chronological. For the user, Twitter’s change should be a welcome one – as with Facebook’s recent updates, it should show readers the content they are most interested in, based on their previous clicks, likes or other interactions. The fast-moving nature of social media – and Twitter in particular; it’s estimated that 6,000 tweets are posted every single second – has previously meant that when you log on, you only see a snippet of recent posts. Things that might have been of interest just an hour or so ago are liable to be so far down your feed – depending, obviously, on how many people you follow – that you will never see them. An algorithm that filters tweets according to your areas of interest is therefore a potential big plus for users. What does the algorithmic feed mean for businesses using Twitter? For businesses, though, the news is potentially less good. If we look at how Facebook’s similar change affected businesses, it had largely negative consequences. In April 2015, Facebook introduced an update which prioritised updates from friends over those from pages you have ‘liked’ – which are often businesses. Small businesses had previously been very visible in the news feeds of those who had liked their pages, and Facebook was a very successful free marketing channel for them. After the change, it was much harder for small businesses to make themselves seen. This led many to assume Facebook had made the change deliberately to encourage businesses to use their paid marketing options. The Twitter update is likely to affect businesses in a similar way. 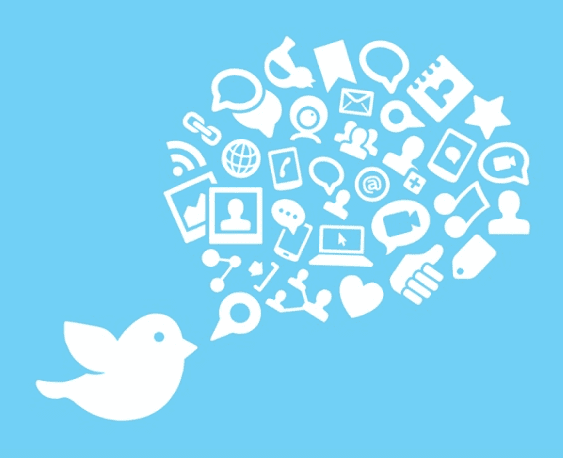 Anyone using Twitter for social media marketing will potentially see their visibility shrink. As is often the case, though, there are ways for skilled marketers to make sure they are not unduly affected by Twitter’s changes. The change means users will, more than ever, see only content that is relevant and interesting to them. But let’s not forget that these are just as likely to be tweets from businesses – as long as those tweets are interesting and engaging. In many ways, Twitter’s algorithmic feed will benefit true content marketers. If you can make your tweets grab the attention of your audience, they will be seen. The key is in getting your content right. If you can do this, you’re onto a winner, as the number of competitors being seen alongside you – assuming your content is better than theirs, of course! – will have reduced. Maybe the Twitter update is an opportunity for firms using social media marketing to step up – to make sure they really consider and refine their content. Only by doing this will they remain visible. If you work in a regulated industry, you don’t just need to think about content, of course. You also need to consider compliance. This can add another layer of complexity to the social media marketing process. Getting social media posts approved and shared can take longer than for other businesses – although compliance software, particularly team collaboration software that enables concurrent reviewing and approvals, can help. And you need to ensure you store your posts in a compliant way, creating a social media audit trail that satisfies FCA requirements. Relying on Twitter to keep a record of them for you is not sufficient. If you want to know more about how to make your content compelling AND compliant, you might find Perivan Solutions ‘10 best practices for compliant social media’ will help. It’s free, and you can download a copy here.